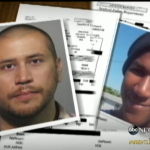 On Nightline Friday night, Dan Abrams gave an in-depth look at the George Zimmerman Case. The defense claims that George Zimmerman shot teenage, Trayvon Martin out of self-defense as he feared for his life. Whereas the prosecution claims that George Zimmerman was looking for a fight and profiled a hooded teen in his neighborhood. Dan says, “There is this sense out there this is a case about a guy who chased down Trayvon Martin. But the defense is saying that this didn’t happen.” The case has turned from a fairly simple self defense incident to a very public, very complicated, tricky case. Dan continues, “It’s pretty clear from the moment when the police arrive that Zimmerman says, ‘I was attacked.’ The big picture has been pretty consistent.” Watch the segment here.